A recent MarketingSherpa B2B Newsletter case study, “Personalization Marketing: In-trial messages increased online registrations by 15% for a B2B SaaS,” covered Brainshark, a cloud-based B2B service for training, sales conversions and marketing. The case study examined how Brainshark pushed personalized messaging on users of a freemium product that offered a scaled down version of one of its main enterprise products. These messages took the form of informational and educational tips about using the freemium products and promotions for other free Brainshark products, while offering to upgrade to the paid version. 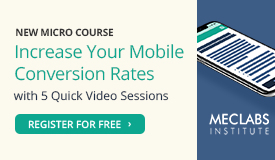 The freemium product, myBrainshark, creates video presentations out of static data, such as presentation slide shows, spreadsheet data, PDFs and other written content. Although Brainshark targets business users director-level and above in sales training, enablement and operations, the freemium product attracted more than just attention from business users. Arthur Gehring, Vice President of Demand Generation, Brainshark, said educators were another main user base. 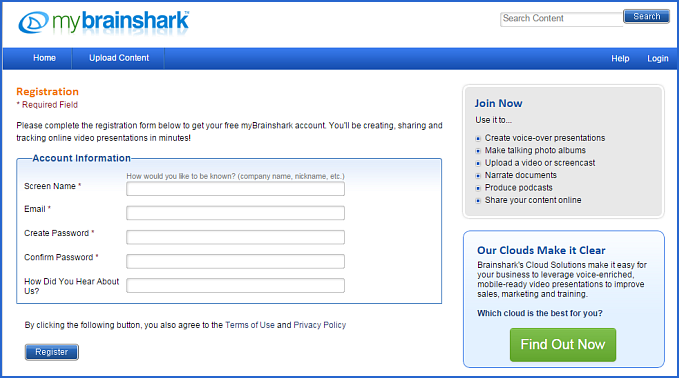 To register for myBrainshark, new users only have to provide a screen name and email and create a password. Arthur said the small number of form fields was to drive as many registrations as possible. Content marketing goes well beyond publishing text-based material. Your company can provide videos, slide decks, Twitter feeds and even Web-based tools — like ClickMail’s ESPinator. ClickMail pairs companies with email service providers (ESPs) and helps them establish effective programs. 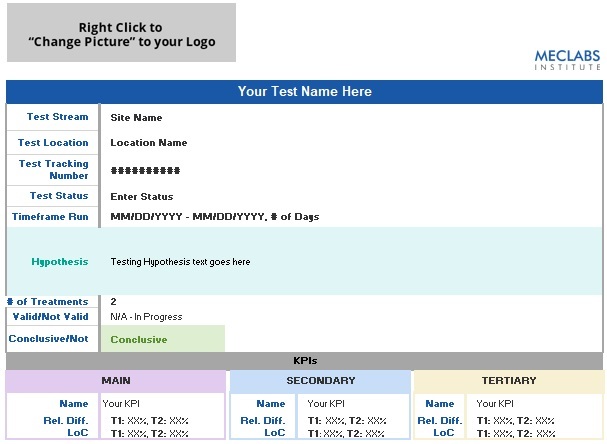 For years, its marketers have published a blog and an annual PDF guide about selecting ESPs. The ESPinator is the next step in that strategy, Marini says. Launched last month, the tool asks users a series of questions and suggests up to three ESPs that are well-suited to their needs. “Every vendor at a trade show says their solution is the best. There truly isn’t a best solution. It all depends on what your specific needs are,” Marini says. Content marketing requires investment. Someone has to create the content and it has to be really, really good. You can either invest your time or pay someone else. Either way, there is no free lunch. This is also true of ClickMail’s ESPinator, which took over two years to create and is still in beta. One of the biggest challenges was building its scoring system. Each ESP had to be scored in various categories so it could be matched against a user’s needs. One such category is each ESP’s depth of integration with salesforce.com, a popular CRM solutions provider. “All [salesforce.com] integrations are not created equal among ESPs,” says Cameron Kane, CTO, ClickMail, who headed the project. “Some may synch simply contact data, some synch lead and contact data, some work with custom objects, some will not work with custom objects” and so on. Some types of content — such as books — require a onetime investment. Once a book is published, it’s published. Blogs, on the other hand, require on-going investment or they will wither and die. ClickMail’s tool is somewhere in the middle and will require updates. “When an ESP on that list comes up with a new version or enhancements, we need to go back and modify the scores on those areas that they have potentially improved,” Marini says. 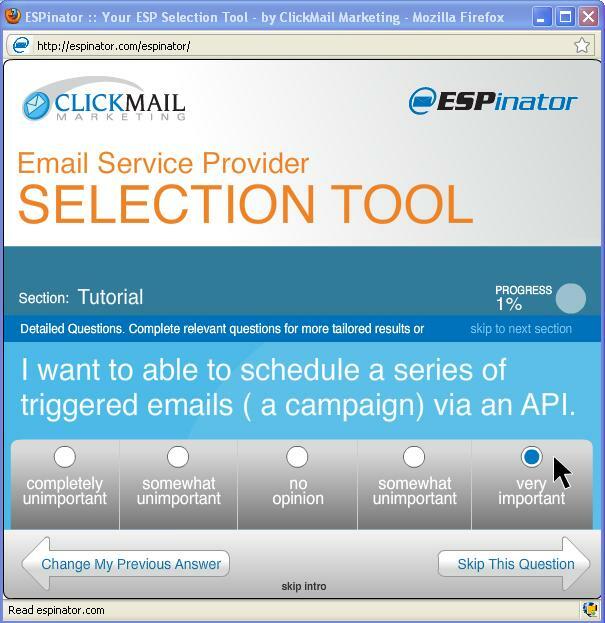 The ESPinator is so new that ClickMail has just begun its promotion. The team launched it at the MarketingSherpa Email Marketing Summit last month — the industry’s largest event — and plans to do more soon. Ultimately, the team hopes that the ESPinator provides a useful service and helps attract attention to ClickMail and its services. Furthermore, the tool’s calculated suggestions will help position ClickMail as a company that is well-suited to help marketers choose email providers. In today’s free webinar at 1:00 p.m. EDT – B2B Marketing Summit Wrap-up: Quick takeaways distilled from 478 marketers on lead nurturing, social media marketing, and more – we will share successful B2B strategies and techniques from the MarketingSherpa B2B Summit ’10 in Boston and San Francisco. In the last year, my most successful B2B strategy involved incorporating a low involvement SMM program with two of our online products. This increased our SEO and client re-buys. We accomplished this goal by strategically including a few simple widgets within our own site, e-marketing newsletters, and on few conversion points where we were able to increase our conversion and click-throughs. Blogging with heavy emphasis on quality content and SEO has been great for lead generation. Going after specific, long-tail or niche terms works better than trying to compete on broad competitive terms, because when B2B searchers are in research mode, their search terms become more specific. 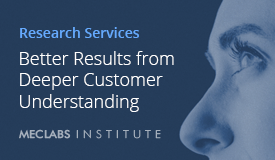 Searchers in research mode are attracted to blog posts, because they are assumed to have high informational value. To make this strategy work, you need a clear call to action on your blog post. Otherwise, there’s too much potential for the visitor to click off after making use of your valuable content. Our firm has found great success in having a structured data management plan in place. This ensures even distribution of effort across a prospect universe and allows for strategic data recycling. Traditionally, calling campaigns do not typically leverage business intelligence that is uncovered in initial prospect/customer dialogs to enhance future interactions. Instead, records are recycled in programs based on timing considerations. Often, this leads to the same process to capture the same information being repeated in the next campaign. The investment made to capture business intelligence is largely wasted if it is not leveraged in the future. Building prospect/customer intelligence in a structured manner and having visibility into relevant attributes of prospects enables sales and marketing to develop roadmaps for future communications. In my teleprospecting role, I use a lot of messaging testing to determine decision makers pain points when taking sales calls and creating a greater impression of expectations for their follow-up call from my clients’ sales team. Most recently I’ve begun asking decision makers if they’d take a few minutes with me to determine if we can match their needs for data asset management and following this, if we are a fit, I’ll set up a data governance workshop that will uncover point-to-point value for business, legal, compliance, IT and executive users. This governance workshop will also get the ball rolling to help them determine a clear ROI roadmap on the purchase of a clients’ solution. This approach has increased my lead generation from .04 leads per hour to .35 leads per hour for one particular client, achieve an unmeasureable success for another, and has allowed me to get in a few good conversations for a project I’ve just started. I’ve found that some A/B testing of messaging in my teleprospecting efforts can create efficiency and effectiveness similar to how A/B testing of search terms/SEO can drive exponential results. Of course my main resource will always be the human touch possible through both the phone and e-mail, but there are a lot of things that can help make that more effective… none more important than relevance. One of the biggest untapped resources for relevance in my opinion is careerbuilder.com. It doesn’t matter what industry you are in, there are search fields to find the relevance you seek. In my case, I target companies by region that are looking to hire for the position of new business development, inside sales, field marketing, etc. Any company hiring for those positions will have lead generation on their list of relevance, as well as a need to be shown the value of outsourcing vs. inhouse. You can change the fields to match a company seeking to fill any need your company can provide. B2B Marketing: Are tradeshows on the way out? Bet that title got your attention. And the answer is, “Of course not.” Tradeshows, seminars, expositions and conferences have been a key way to connect with customers and colleagues for a long time (see the recently completed MarketingSherpa B2B Summit for just one example), but these events are facing some stiff competition from cyberspace. The MarketingSherpa 2011 B2B Marketing Benchmark Report just came out and I had the chance to review it a couple of weeks ago. The report covers B2B marketing tactics, budgeting, challenges for the coming year and more. The information was gathered through 935 marketer surveys and the report includes 167 charts and tables. Now you’re probably thinking, “What gives?” I grabbed your attention with a dramatic title and immediately calmed things down with a reassurance that tradeshows aren’t going away anytime soon. Now this bit about effectiveness? The strong numbers for the effectiveness of virtual events and webinars are very intriguing, but maybe because they are so much less expensive to execute, marketers are placing too much value in the online events. I asked Jen Doyle, Senior Research Analyst at MarketingSherpa and Lead Author of the 2011 B2B Marketing Benchmark Report, if some of this effectiveness is related to savings over tradeshows. Here is Jen’s response, “Absolutely. In addition to the benefit of cost effectiveness, webinars also offer a balance between having one-on-one conversations with prospects as with tradeshows, and reaching a high volume of prospects which isn’t always easily accomplished at these events. The emphasis on her final sentence is mine. So virtual events and webinars are seen as effective, but that view comes from a lot more than simple savings over tradeshows. What makes live events and webinars effective? 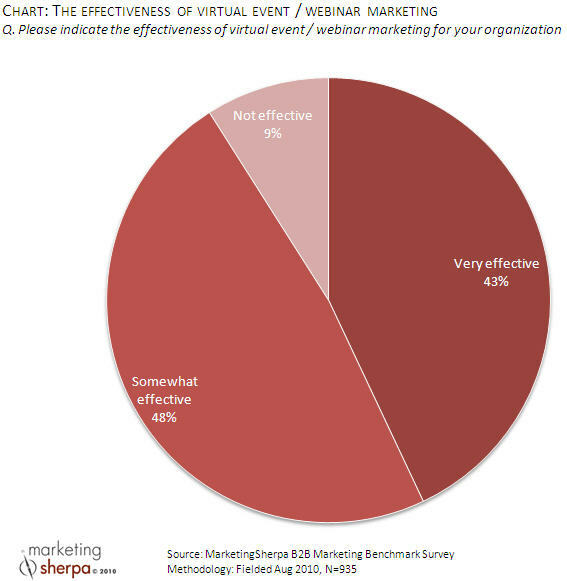 Just how effective do marketers find virtual events and webinars? Here is Jen once again, “When executed properly, virtual events or webinars can be highly effective methods in both lead generation and lead nurturing. With the execution of webinars, organizations are able to generate interest, build brand credibility and gain thought-leadership recognition – all of which will lead to results that impact a B2B organization’s bottom line. At MarketingSherpa, we host both live events (like the upcoming Email Summit) and webinars (like the upcoming B2B Marketing Summit Wrap-up which, ironically, is “virtual” yet based on a live event). Webinars are a great way to maintain a regular conversation and provide consistent information to our audience throughout the year. Live events offer the opportunity to really have some deep interaction with our audience, and allows them to share knowledge peer-to-peer, marketer-to-marketer. So both live and virtual events work for us. It’s about finding the right place and time for each, and ensuring we have a steady stream of information for our audience through the year. What about your company? What have you found works best for you? This week marks the launch of MarketingSherpa’s 2011 B2B Marketing Benchmark Survey, which gathers data from members of the B2B marketing community to benchmark their latest best practices, tactics and results. As a thank you for your participation, you will receive an offer for a free copy of the Executive Summary of the 2011 B2B Marketing Benchmark Report, which will include highlights and key findings from the study. We’re excited to see how your responses illuminate what’s working in B2B marketing today. The B2B community has been humbled by the recent recession and has been forced to operate with limited resources — while producing a higher level of quality leads than ever before. The organizations that have persevered through budget cuts and increased expectations are the ones that could apply the most efficient marketing tactics for every stage of the buying cycle — and in the process, improve the overall efficiency of their marketing and sales departments. The greatest challenge for B2B marketers is generating high-quality leads to deliver to their sales teams. Because of this challenge, marketing automation, lead nurturing and lead scoring have become critical tactics for B2B organizations. In order to optimize the efficiency of marketing and sales departments, walls between these teams are coming down to enable more collaboration. Sales and marketing are working together to identify various stages of the buying cycle for the complex sale, and to determine what marketing collateral or level of sales contact is appropriate for each stage. Through this process, marketing’s role has changed from just generating leads to generating and nurturing leads to the point that they are qualified, and ready for sales involvement. The next year will be pivotal to the success of these organizations. With signs of an improving economy, the B2B marketing community is feeling more optimistic and reacting with the greatest budget increases we have seen since before the recession. It is critical that these organizations take the lessons they have learned during the recession and apply them efficiently with their now-increasing marketing budgets. MarketingSherpa’s 2011 B2B Marketing Benchmark Survey will focus on organizations’ best practices, tactics and results in the key areas of marketing automation, lead nurturing, lead scoring and managing the complex sale. 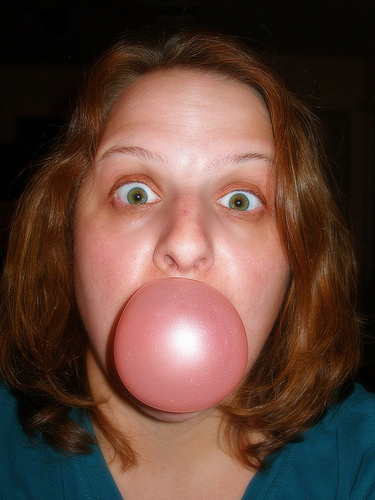 Blogs are Becoming the New Front Door for Prospects: Is Yours Open? If you’re still on the fence about the importance of a company blog, consider this trend: Many B2B marketers report that their team’s blog — not the company homepage — is now the most popular entry point for online visitors. For example, the team from the ESP Delivra (who just missed the cut for our Viral and Social Hall of Fame honors but nonetheless had a strong entry) reported that their company blog and social networking activity have become the primary ways they get thought-leadership content in front of prospects. – They now see 4x more blog traffic than website traffic. – Visitors are now staying 3x-4x longer to read blog content and website links included in that blog. Two factors are at work here: Blog content that is frequently updated and loaded with your team’s most important keywords lead to greater visibility on search engines. Plus, social sharing tools now enable your readers to share that content with their extended networks, further extending your reach and visibility. In fact, Delivra has jumped more than 20 pages in Google search results for key phrases such as “email marketing” since starting its concerted blogging and social media effort. And since last October, the team has seen a 70% increase in inbound leads. Effective blogs are updated frequently. But many small marketing teams struggle to find the time to continually feed the beast. Newton’s team uses nine or 10 regular contributors from within the company, as well as three to four frequent guest bloggers, including customers. Maintaining a consistent schedule is essential to a successful blogging strategy. Newton’s team posts at least once a day during the work week. How did they enforce that rule? They got the company CEO, Neil Berman, on board, and he made it a requirement that the blog be updated five days a week. He also leads by example: Berman contributes to the blog each Monday. Newton also recommends using carrots alongside the stick of mandatory blog posts to keep bloggers motivated. In the early days of their blogging effort, she ran internal contests to single out the blogger whose post was shared the most. She also used gift cards as rewards for the most successful posts. Now, she simply shares the metrics from the team’s blogging and social efforts to show the rest of the company how important their contributions are.